A turbo actuator assembly is actually comprised of several moving parts that are responsible for improving throttle response. If there is one area that is not working properly, it can prevent the control that is desired at high and low speeds. The parts that make up the assembly include the VGT actuator piston, the vanes, the turbine wheel, the shaft seal, the VGT control valve, and the compressor wheel. Together, they are what every power stroke engine needs in order to give performance when the throttle is used. A turbine wheel is used that is similar to that of a conventional turbocharger. The housing is slightly different, however, because there are vans. This controls the internal size of the housing and actuated hydraulically. They are controlled electronically, which is why the modern turbine engine has a computer system within it. Any time that the vanes of the turbo actuator are closed, there will be a higher level of exhaust back pressure. This creates heat and therefore warms the engine faster, which is ideal in cold temperatures so that performance can be drastically improved. There is also a design within the assembly where two floating bearings are used within the shaft. 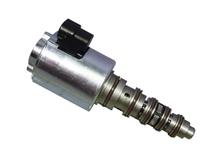 This helps the actuator to function without the friction, thus ensuring that parts do not wear down quickly. Oil will flow through the open vanes and travel into the hollow shaft and then back to the control valve and then back again in order to drain. The oil is used again and again until it is changed. Understanding the flow of oil is critical to ensure that it is changed with the required frequency. Overall, the function of the turbo actuator assembly is to ensure that speeds are controlled properly. While it is similar to that of a standard turbocharger, there are some design elements that are different and thus allow the engine to operate more effectively.